Commonly known as the Bay Area, the San Francisco Bay Area encompasses the major cities and metropolitan areas of San Francisco Oakland, and San Jose and includes nine counties, Alameda, Contra Costa, Marin, Napa, San Francisco, San Mateo, Santa Clara, Solano and Sonoma. Home to about 7.15 million people, the Bay Area is known for its natural beauty, progressive thinking, liberal politics, entrepreneurship and diversity. 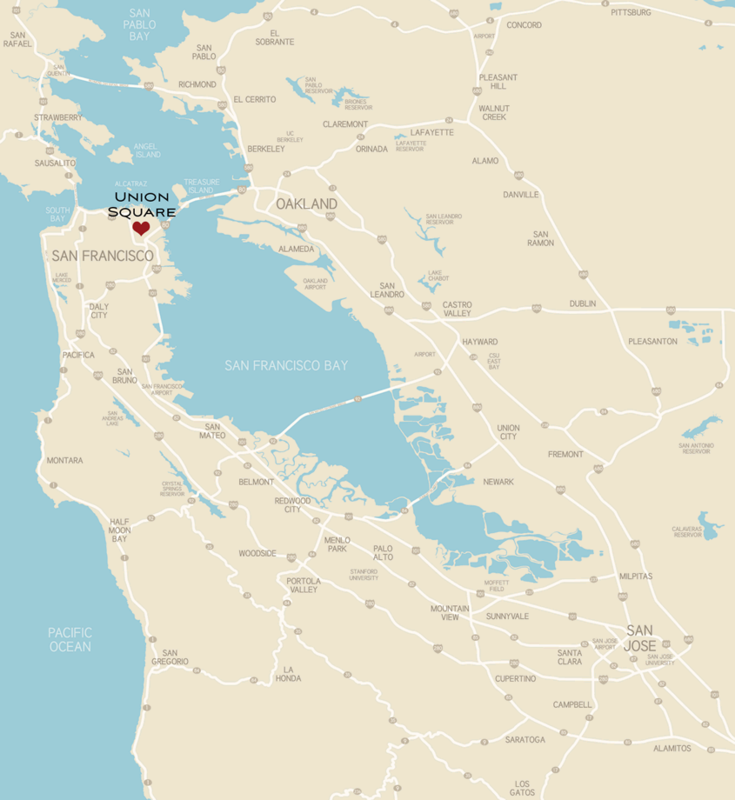 We've included a number of prime shopping districts located in the Bay Area surrounding San Francisco.